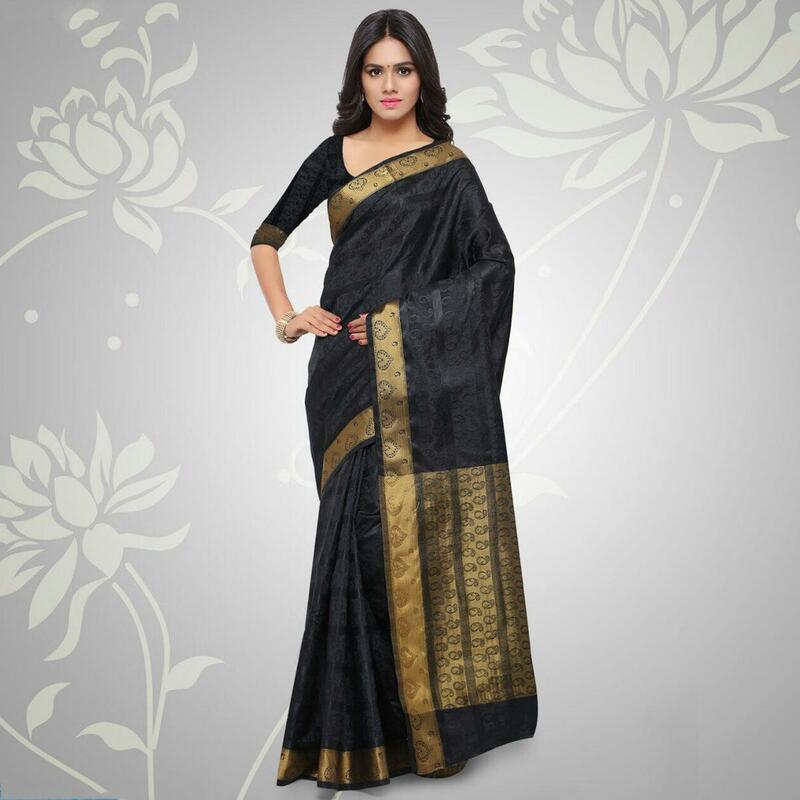 Make your ethnic look more adorable wearing this beautiful black designer saree. 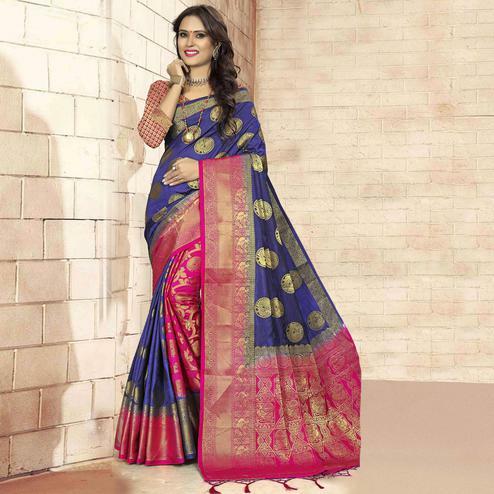 This ethnic piece made out of silk fabric is prettified with paisley pattern embroidered motifs and weaving work done at the lower pallu and border. 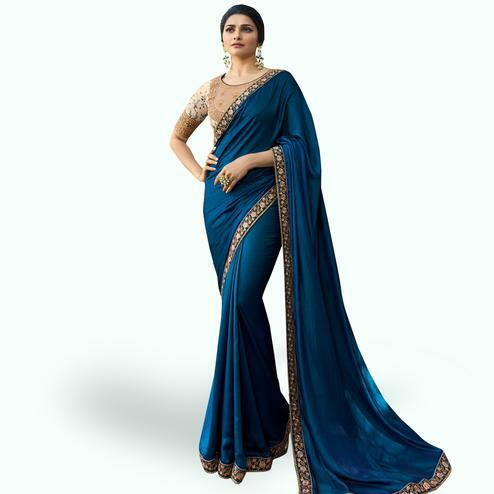 Saree comes along with matching fabric unstitched blouse piece. 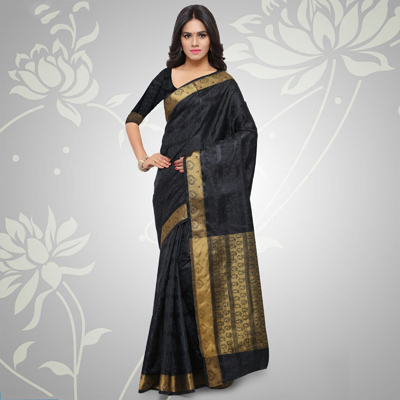 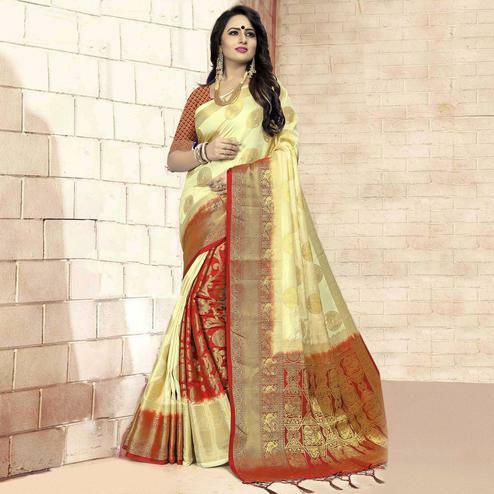 It's a perfect saree to pick for small parties functions and social get together.